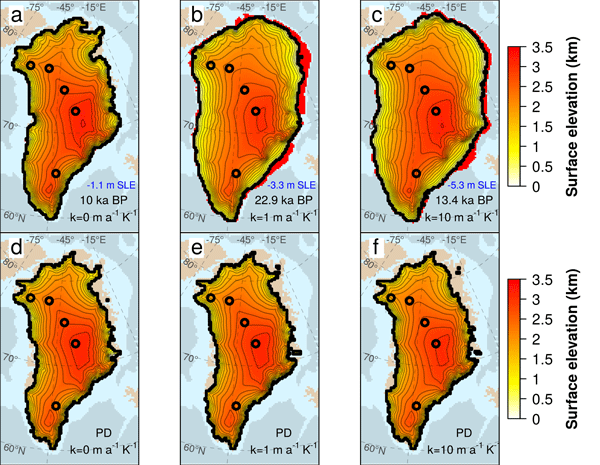 Recent reconstructions show that the North East Greenland Ice Stream (NEGIS) retreated away from its present-day position by 20–40 km during MIS-3. Atmospheric and external forcings were proposed as potential causes of this retreat, but the role of the ocean was not considered. 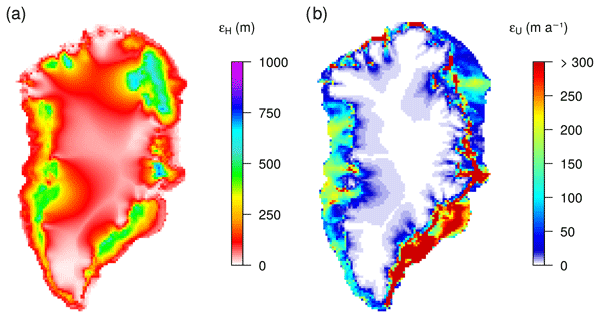 Here, using a 3D ice sheet model, we suggest that oceanic warming is sufficient to induce a retreat of the NEGIS margin of many tens of km during MIS-3, helping to explain this conundrum. There are observations from ocean sediment cores that during the last ice age the Laurentide Ice Sheet, which sat over North America, periodically surged. In this study we show the role that water at the base of an ice sheet plays in these surges. 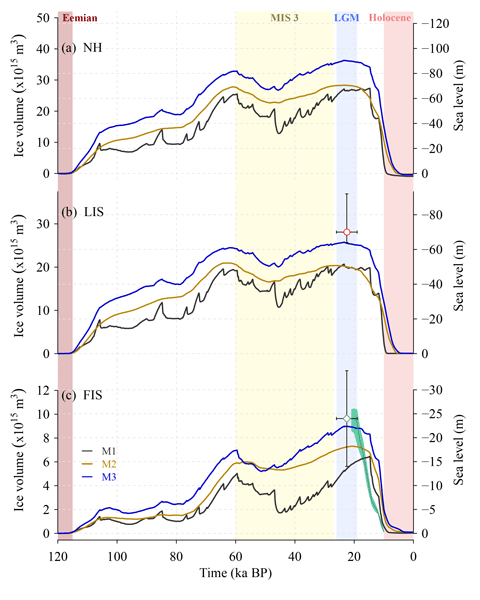 We show that with a more realistic representation of water drainage at the base of the ice sheet than usually used, these surges can still occur and that they are triggered by an internal ice sheet instability; no external trigger is needed.